February 21st, 2015. 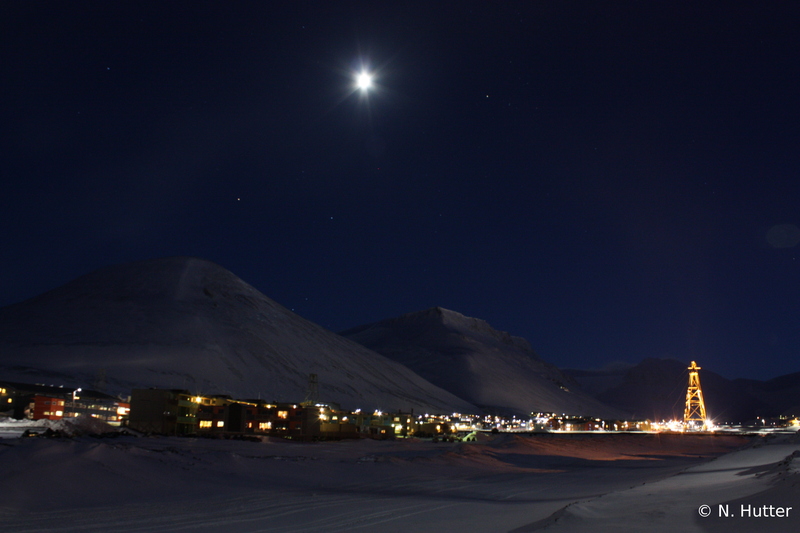 Longyearbyen, Svalbard. 1300 km north of the polar circle. I leave the plane knowing that for the next six weeks, I will be closer to the north pole than to the next McDonalds. Polar bears (3000) outnumber humans (2600). You’re only allowed to leave “town” with a rifle. The record minimum temperature is -46.3°C. There is no sunshine between November and February. Why for God’s sake would anyone want to come here voluntarily? Well, the answer is: The north pole is closer than the next McDonalds. Polar bears (3000) outnumber humans (2600). You’re only allowed to leave “town” with a rifle. 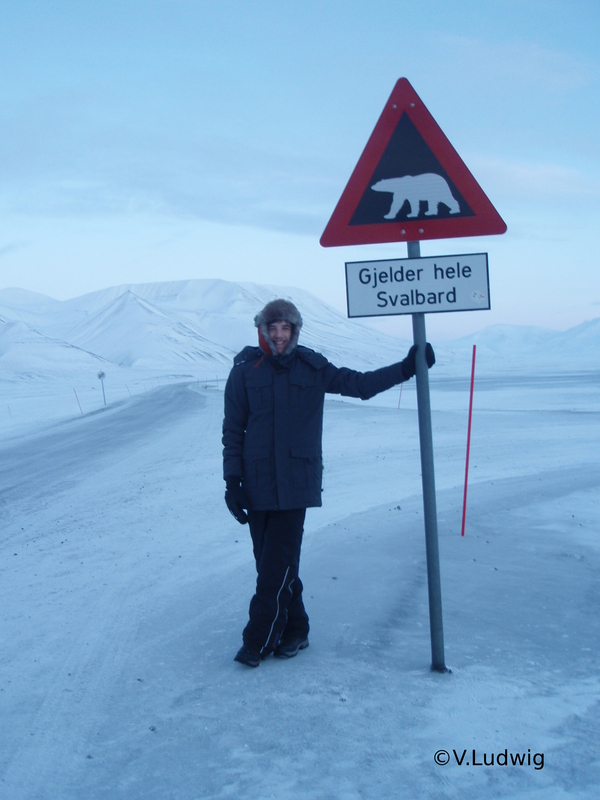 One of two polar bear roadsigns worldwide. The other one is located two kilometers away, at the other exit of the village. 15 years ago, my 11-year old self first put hands on the story of Sir Ernest Shackleton and his almost deadly Antarctica excursion with the Endurance. Since then I wanted to see this mystic and wild place by myself. So, I could eliminate that bulletpoint on my personal things-to-do-before-I-die list, even if, unlike Shackleton, I chose the more convenient hemisphere. Still, the presence of towering, snow-covered mountains and the strange feeling that I and 2599 others are the only humans within a circle of 1000 km (complemented by the subtle danger of seeing a polar bear from inside) is stunning. It reminds me that there are still places where humans have to adjust to nature and not the other way round. The wish to preserve this place is the main reason why I dedicate my studies to polar research. Although I had been working on sea ice remote sensing for almost two years before I went to Svalbard, I had never seen sea ice in reality. When a friend of mine told me about UNIS, the University Center of Svalbard(http://www.unis.no/), I knew immediately that this was the chance to combine field experience with my childhood wish to travel to the Arctic. The 4-week block course ‘Remote sensing of the cryosphere’ matched my studies perfectly. However, there is a wide variety of courses in natural and engineering science, so that there is something for almost everyone whose university studies deal with Arctic research. We had lectures and practicals four days a week, the fifth day was dedicated to excursions. Thus we could directly investigate in practice the things which we had learned in the lecture. After the mandatory safety training which included rifle handling, rescuing ready to go. The direct contact with sea ice gave me an understanding and gut feeling which for me was indispensable for doing sound science. For my studies, I couldn’t have gotten this in my cozy office in the mid-latitudes. It is hard to select my favourite experiences, both from our expeditions and our free-time hikes. Therefore I’ll just name some in random order: I saw reindeer and polar foxes. Daily. Within the village. We rode over snow-covered glaciers on a snow scooter on a sunny, blue-sky day. We watched stars and northern lights within complete darkness. We explored subglacial caves. We hiked over mountains and glaciers for several hours and paused in self-dug snow pits. I could continue this endlessly. Even at university, having-a-beer-by-the-inside-campfire events once a week, half the people walking around in ski underwear and everyone having a personal pair of slippers create an atmosphere which is closer to a ski hut than to a research institute. 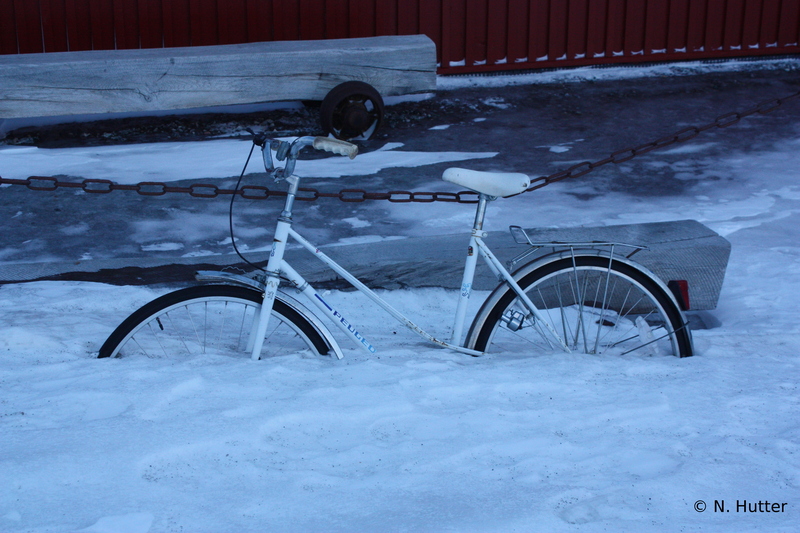 Apparently more a summer than a winter means of transportation. In case I didn’t manage to convey my enthusiasm until now, let me conclude with a fun fact: Svalbard is international territory, meaning that every resident of a country which signed the Svalbard contract may stay here without a visa. Chatting to a Burmese in a sauna at 78°N and having dinner in the world’s northernmost Thai restaurant are definitely on my top-ten list of surreal experiences. Feel free to contact me if I arouse your interest, you want to hear more adventure stories or consider a stay at the last outpost of human civilisation! 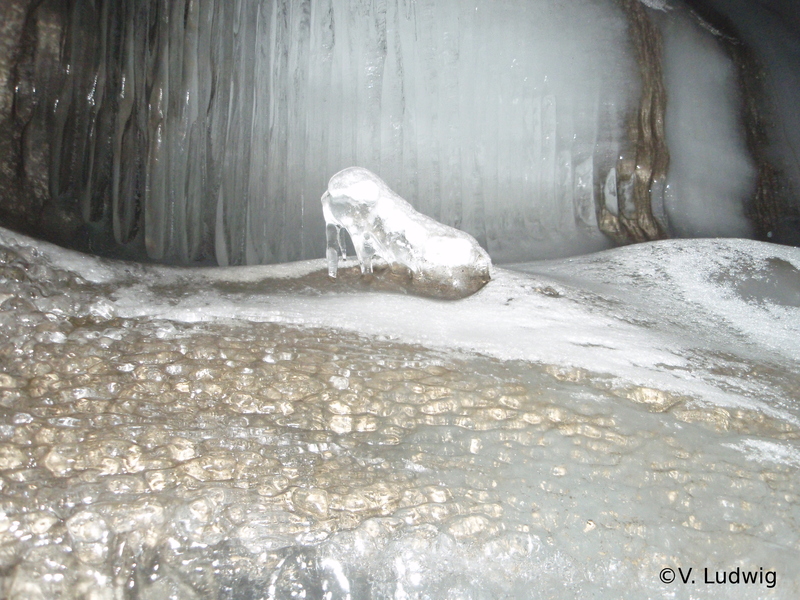 This subglacial ice “sculpture” immediately reminded me of a woman’s dancing shoe.